If you have ever felt tired of wearing dark plain coloured trousers then I definitely recommend a pair of yellow/pink/orange/red trousers! You can’t help but feel a bit chirpy in them! 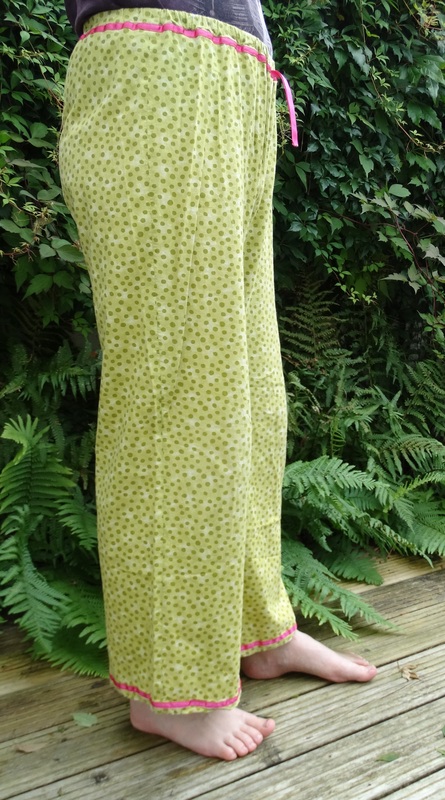 I was given the fabric for these trousers about 6 months before I got round to making them, it’s a lovely 100% cotton that I’d been eyeing up in Haberdashery Fabric and More for months, let’s just say it wasn’t a cheap one either. So when I finally had 3m of it I wasn’t about to risk an untested pattern on it. 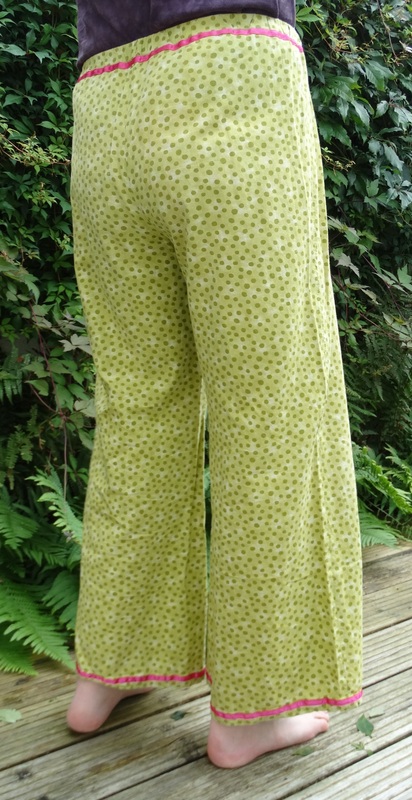 But after two pairs of trousers with various tweaks along the way, that included getting the flares the right way and size I decided it was time to make them. 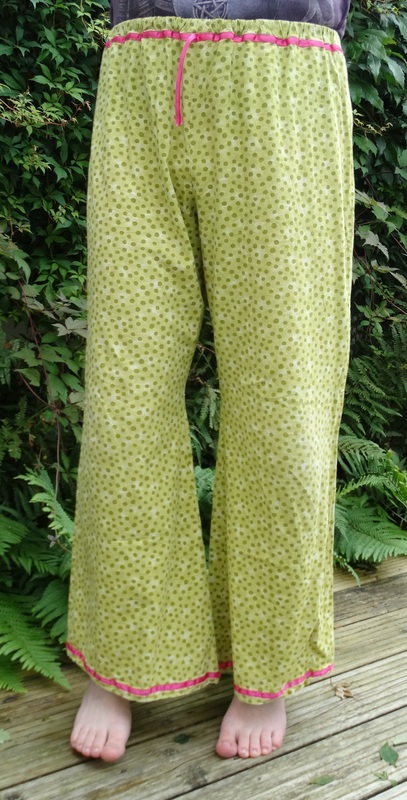 The fabric is actually quite a lightweight cotton, and I decided that a thinner waistband would be nice on these and they make perfect trousers for warm summer weather. I will admit sometimes they feel a little bright on a dark rainy winters day, but then i remember to smile and not let the rain bother me! There’s magic in these trousers! 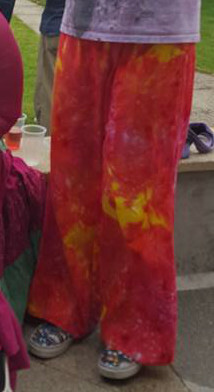 I must have worn these trousers countless days over the last year or so and they still feel strong and look great, I know myself they will have faded a bit but you can’t tell, unless somebody grabs a scrap of the original fabric and compares it they still look bold and bright as ever! It would seem that I habitually buy too much fabric for any project, it’s all well and good saying it’s better than running out but I often end up with enough to do another small project on the side. After finishing my Purple Shorts I found I had a lot of fabric left, what was I to do with it all… Make Bunting for the Tent of course! 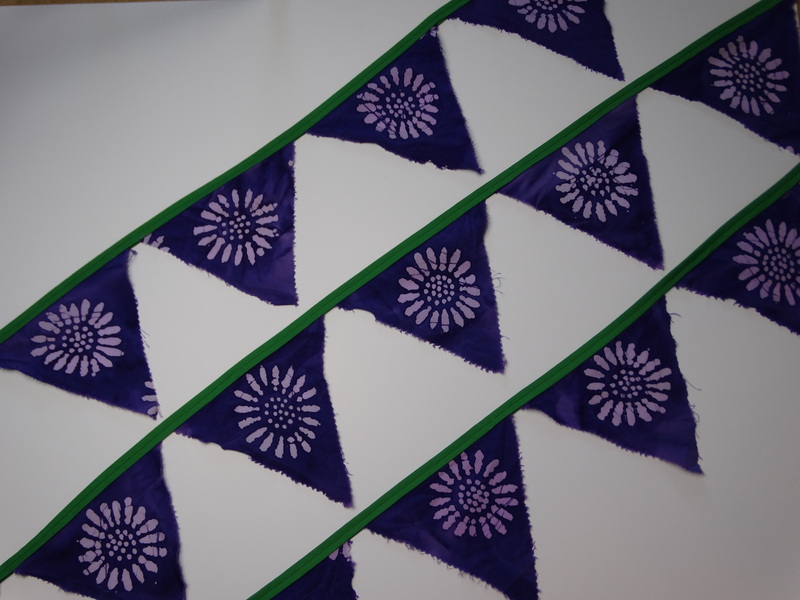 There was even enough to make each bunting have a focal point of the fabric design in the middle of it! If my memory serves me right The Bendy Knitter and Sweetie were drafted in to help in the marking up and cutting while I was busy sewing other things. Summer 2015 also called for a new pair of shorts, so how could I resist! 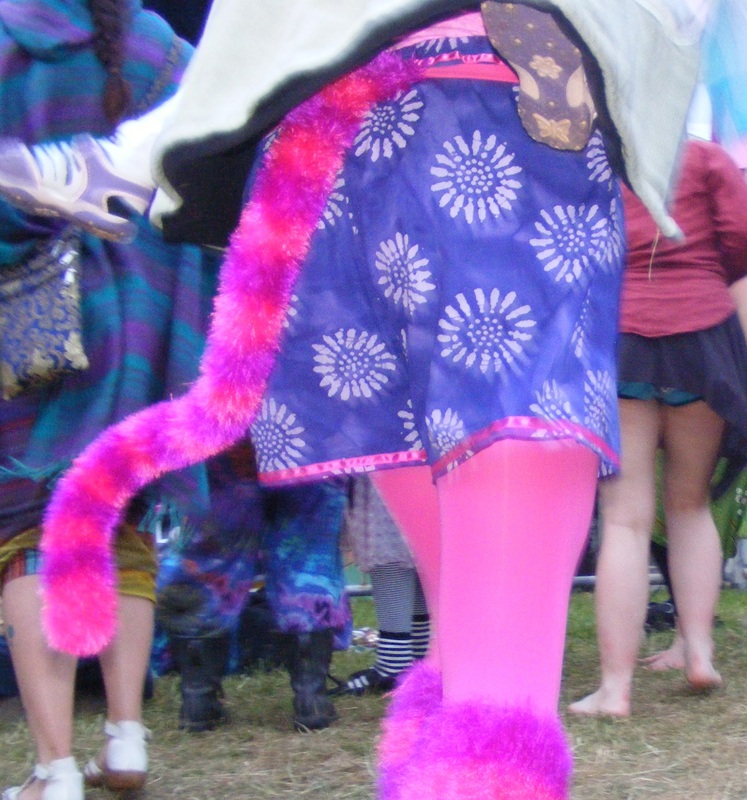 And being summer they of course had to be part of a costume too, here they are mostly as part of my Cheshire Cat Faery Costume for Alice in Wonderland Day at 3 Wishes Faery Fest! Of course the yarn based parts were as always made by The Bendy Knitter! 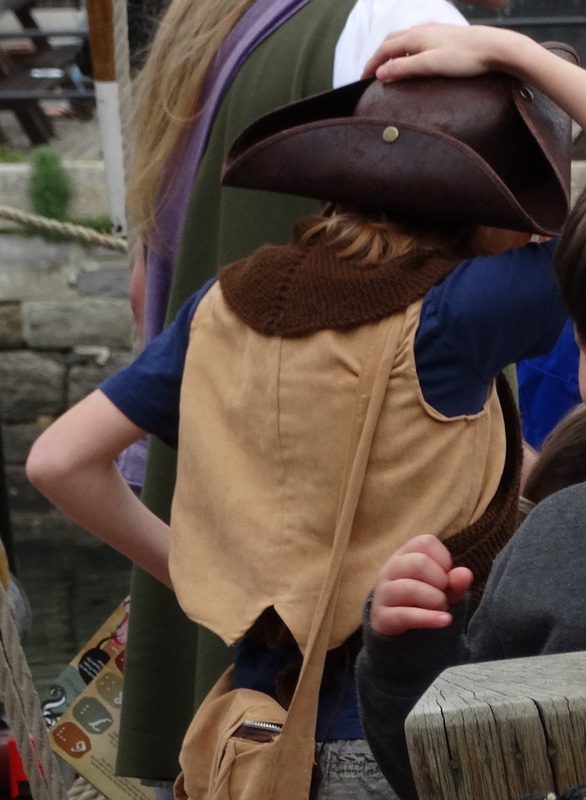 The 3 Wishes Faery Fest is one of those rare occasions when Pretzel Boy will let go and put on a costume and properly join in with all the fun, and 2015 required a pirate costume, at least some of one. 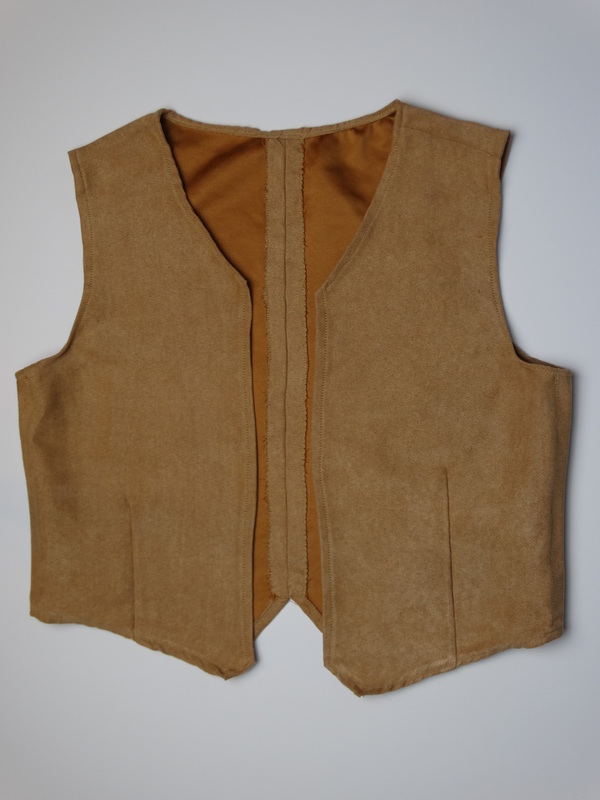 So I took to heavily adapting a waistcoat pattern I have to make a very basic unlined waistcoat. Being costume I used a cheap poly-suede which on the outside looks great but the inside is rather cheap feeling. 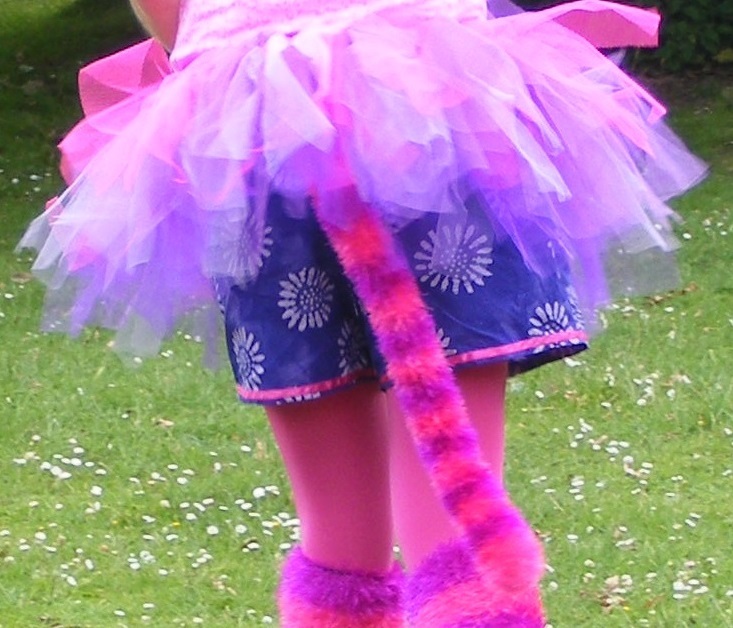 I skipped the fastenings and kept it short to get the final style I wanted. I think it give a good impression in the end. 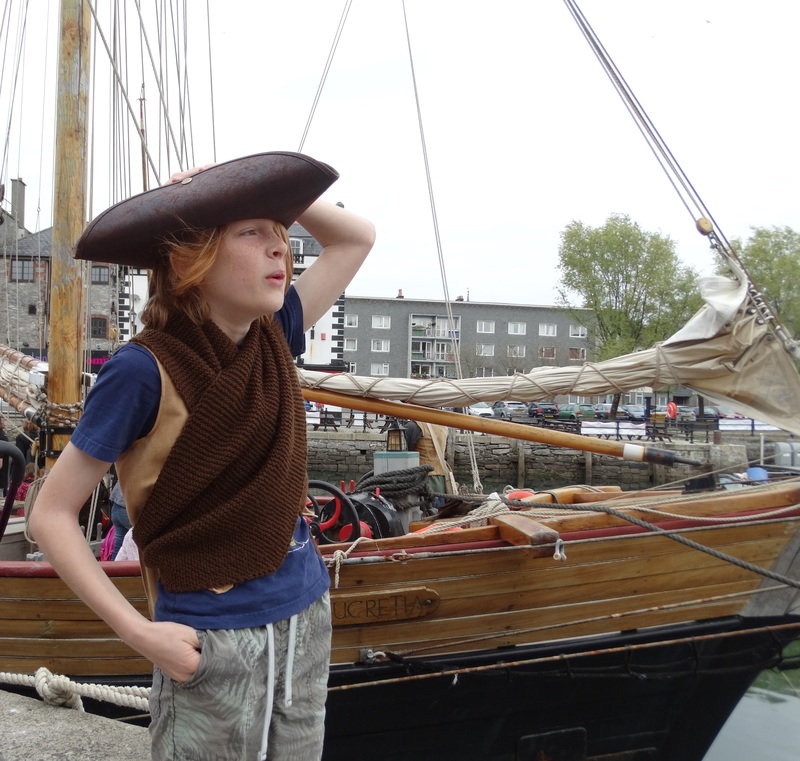 He also wore it to Pirate Day down at Plymouth Barbican this year and again the this year’s Faery Fest, so it’s certainly got his approval! Pirate day was a pretty cold one and extra layers in the form of a knitted crossover by The Bendy Knitter were required, unfortunately covering up the waistcoat. 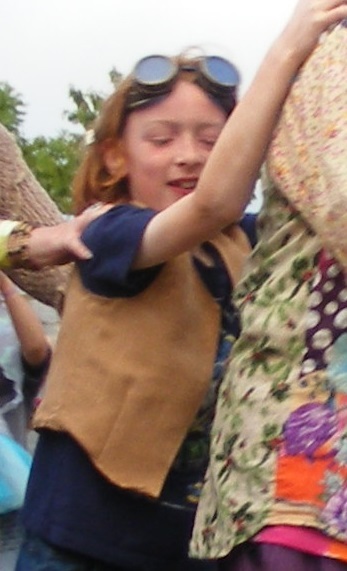 So I’ve already shared the Polka Dot Gypsy Skirt I made for The Bendy Knitter for 3 Wishes Faery Fest 2015… well she wasn’t the only on that needed polka dots. So now I present my very own Polka dot flared trousers. 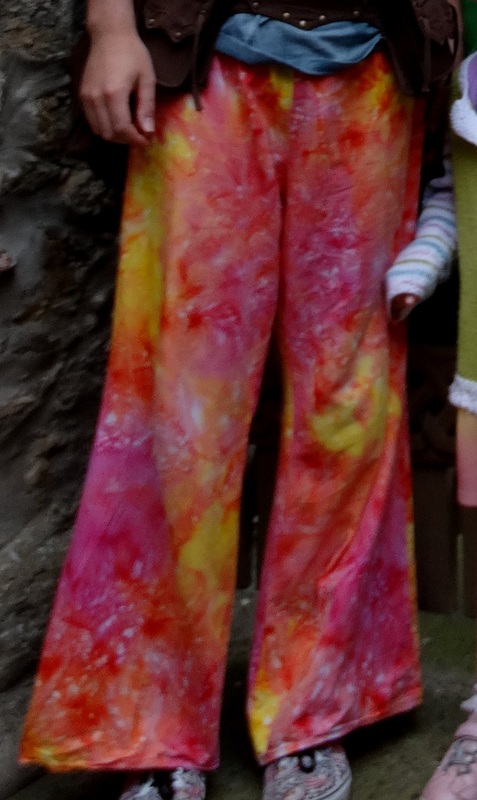 These were the second trousers I made and are my first adaption from the original pattern. the adaption didn’t go quite to plan and I ended up adding the flares in the wrong places. 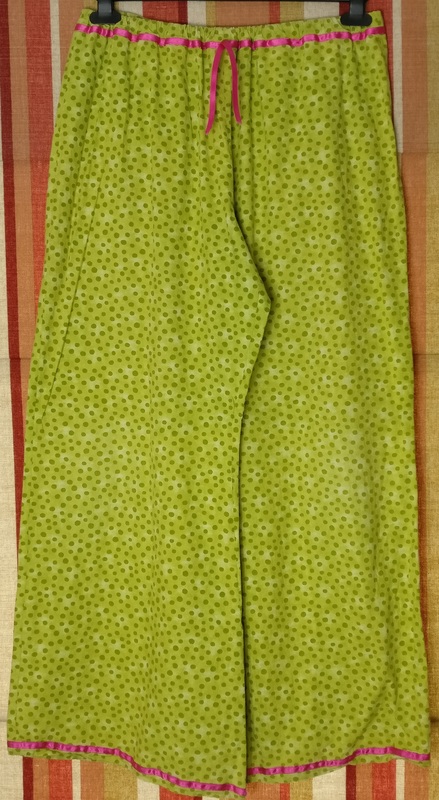 Though I think they work pretty well, they are made of a fairly heavy 100% cotton (another one from Haberdashery Fabrics & More) so were a bit warm for last summer but since then they’ve been great for cooler days. And they sure do make a bold statement!